Yesterday, I made a real mess of a large painting. 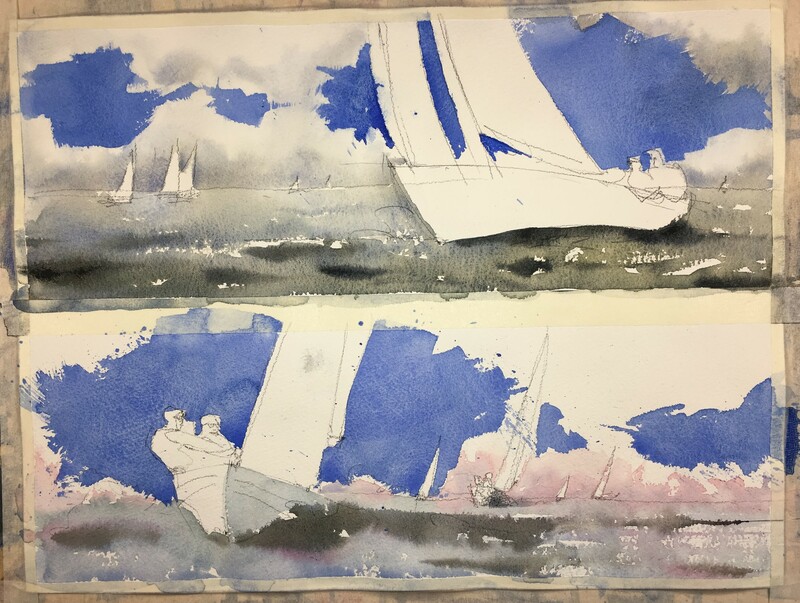 It was going so well, the initial drawing and the placement of cobalt blue for a brilliant cloudy sky… then I added some grey to give body to the clouds. I ruined it. So today it’s practice time. I am painting on the back side of an old watercolour. It’s a good tip not to throw out your expensive watercolour paper until you have used both sides. You ruining a sky, I can´t believe it, obviously god doesn´t exist. And I usually turn my paper when I´m ruining my watercolors,unfortunately too often.